Growth in the UK economy picked up through 2016. Employment has reached a record high of 31.8 million people. 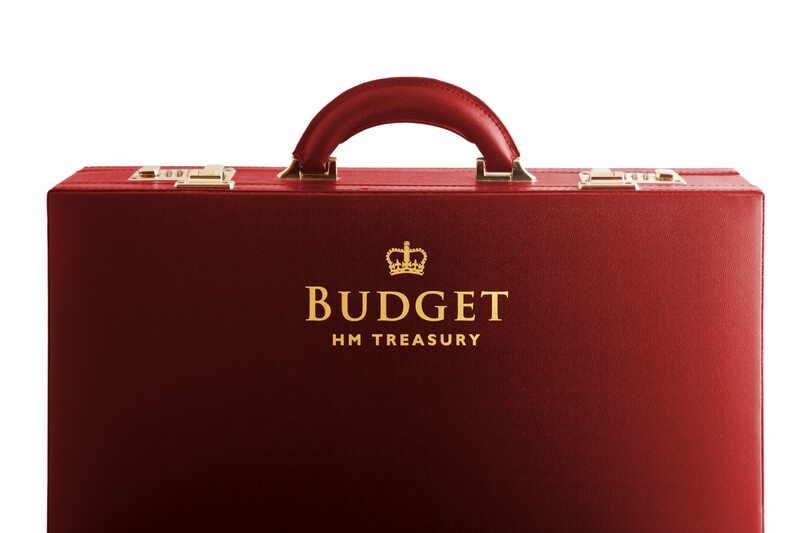 The Office for Budget Responsibility (OBR) now forecasts that the UK economy will grow by 2% in 2017. The OBR also forecast that the economy will grow at a slightly slower rate in 2018, before picking up to 2% in 2021. Britain has a debt of nearly £1.7 trillion – around £62,000 for every household in the country. In 2009-10 the UK borrowed £1 in every £5 that was spent. This year it is set to be £1 in every £15. Borrowing is forecast to be reduced by nearly three quarters by 2016-17. This will help councils to provide high quality social care to more people and help to ease pressure on the NHS. £325 million will be invested in a first set of the best local Sustainability and Transformation Plans (STPs). STPs are the NHS’s plans for improving patient services in local regions, developed collaboratively by NHS service leaders and their local partners. £100 million will go to A&E departments in 2017-18, to help them manage demand ahead of next winter, and help patients get to primary care faster. For example, it will provide more on-site GP facilities and more space in A&E units for assessment of patients when they arrive. New T-levels for 16 to 19 year old technical students will be introduced from autumn 2019. Students will be able to choose from 15 different routes such as construction, digital or agriculture. The number of hours of training for these students will increase by over 50%. As part of the course, all students will take part in an industry work placement. The government will also provide maintenance loans for students doing higher-level technical courses at National Colleges and Institutes of Technology – like those available to university students. £210 million will create new fellowships, including programmes to attract top global talent to conduct research in areas such as bioscience and biotechnology, quantum technologies, and satellite and space technology. The government will provide maintenance loans for people entering part time degrees, and doctoral loans of up to £25,000 to support higher-level study. £320 million will go to new free schools. Free schools are funded by the government but set up by groups like parents, charities or community and faith groups. £216 million will be invested in school maintenance. Children aged 11 to 16 who get free school meals or whose parents are on the Maximum Working Tax Credit will get free transport to their closest selective school, if it is between two and 15 miles away from their home. Children aged 8 to 16 are already entitled to free transport to their closest suitable school, if they live more than three miles away. £16 million for a national 5G Innovation Network to trial new 5G technology. And £200 million for local projects to build fast and reliable full-fibre broadband networks. The bond will be available for 12 months from April 2017. The government announced the NS&I Investment Bond at Autumn Statement 2016. It will be open to everyone aged 16 and over with the flexibility to save between £100 and £3,000 over three years. The Lifetime ISA will allow younger adults to save up to £4,000 each year and receive a bonus of up to £1,000 a year on these contributions. Funds can be withdrawn tax-free to put towards a first home or saved until a person turns 60. A new £5 million fund will go to projects celebrating the 100th anniversary of the Representation of the People Act next year, and to educate young people about its significance. The Representation of the People Act (1918) was the first legislative step towards equal voting rights for men and women. Working with businesses and the public sector, the government will also invest £5 million to increase the number of returnships, helping people back into employment after a career break. And another £20 million will support organisations working to combat domestic violence and abuse or supporting victims. This increases the total funding for implementing the government’s Ending Violence Against Women and Girls Strategy to £100 million by the end of Parliament. Unincorporated businesses (businesses owned privately by one or more people) that have an annual turnover below the VAT registration threshold will have until April 2019 to prepare before MTD becomes mandatory. Under MTD, businesses will use digital software to keep tax records and update HMRC quarterly. This means no small business that is coming out of small business rates relief will pay more than £600 more in business rates this year than they did in 2016-17. Funding for local authorities will allow them to provide £300 million of discretionary relief to provide help to businesses most affected by the revaluation. And from April 2017, pubs with a rateable value up to £100,000 will be able to claim a £1,000 business rates discount for one year. From 2018, Class 2 NICs will be abolished. Class 4 NICs will rise to 10% in April 2018 and to 11% in April 2019. Taken together, only a self-employed person with profits over £16,250 will have to pay more as a result of these changes. This better reflects the fact that the differences in contributory benefit entitlement between the self-employed and employees are now small, following the introduction of the new State Pension in April 2016. In the summer, the government will also consider whether there is a case for greater consistency in parental benefits between the employed and self-employed. This will reduce the tax difference between the self-employed and those working through a company. Typically, general investors will need over £50,000 worth of stocks and shares outside an ISA to be affected.